Dr. Idrizovic also known as Dr. I is our Eye Clinic Director. She specializes in Optometry and is licensed to practice in Massachusetts and New Hampshire. Dr. I has earned her undergraduate degree at Bates College in Lewiston, ME and completed her Doctorate Degree in Optometry from New England College of Optometry. Dr. I’s medical education is complemented by a residency training in ocular disease in Beth Israel Deaconess Medical Center and Manchester, NH VA hospital. Dr. I has over 12 years of medical and optical experience at hospitals and optical facilities serving a large variety of patients and medical cases. Dr. I’s experience include specific focus on comprehensive eye exams for kids and adults, regular and specialty contact lenses, dry eye treatment, red/pink eye management, computer syndrome and glaucoma screenings, among other eye care services. She has extensive experience in specialty contact fittings including keratoconic, irregular corneas, and post refractive surgery cases. Dr. I is a clinical instructor for Optometry students at New England School of Optometry. Dr. I operates with simple goal in mind; to provide patients with the quality, dedicated care they deserve. She operates All Eye Care Doctors with a hands-on approach to insure the practice’s core values are met with every patient interaction. She strives to bring her medical and optical experience to work for the best care of her patients at All Eye Care Doctors. Come visit Dr. I and the team at All Eye Care Doctors to have all of your ocular health care needs addressed. Your vision is important, so let us treat your eyes with the care they deserve! Dr. Hannah Tennant, O.D. is a licensed optometrist who specializes in eye exams and treatments for patients of all ages. She is from Ontario, Canada, and is board certified in both the United States and Canada. She began her post-secondary education at Wilfrid Laurier University, Ontario, where she earned both her honors Bachelor of Science degree and Masters of Science degree in biology. Dr. Tennant received her Doctor of Optometry degree from the prestigious New England College of Optometry in Boston, MA. She has extensive experience in diagnosing, treating and managing many ocular diseases and conditions. Dr. Tennant worked at Dimock Health Center, VA White River Junction, and Beetham Eye Institute at Joslin Diabetes Center. During her schooling, Dr. Tennant spent time training at various private practice and specialty clinics in the Boston area, where she honed her diagnostic skills for binocular vision/oculomotor dysfunctions in a variety of patient ages. She also received specialized training in managing individuals with traumatic brain injury, single vision and multifocal contact lenses, and low vision rehabilitation. Dr. Tennant’s main goal is to provide all patients with the best quality of care and she devotes the most time and attention to her patients. She encourages patients to ask questions and share their health information and concerns, which could be vital to monitoring, diagnosing and treating potential vision problems. Dr. Janne Chuang, O.D., is a board certified optometrist licensed in the state of Massachusetts. She attended the University of California, San Diego, where she received her Bachelor of Science degree in Human Biology with a minor in Psychology. She then went on to complete her Doctor of Optometry degree at the New England College of Optometry in Boston, Massachusetts. For several years prior to entering optometry school, she was also highly involved in clinical research at the Jacobs Retina Center, a part of Shiley Eye Institute at UC San Diego. Dr. Chuang provides thorough comprehensive eye exams for all ages, including red eye exams, diabetic exams, and specialty contact lens exams. 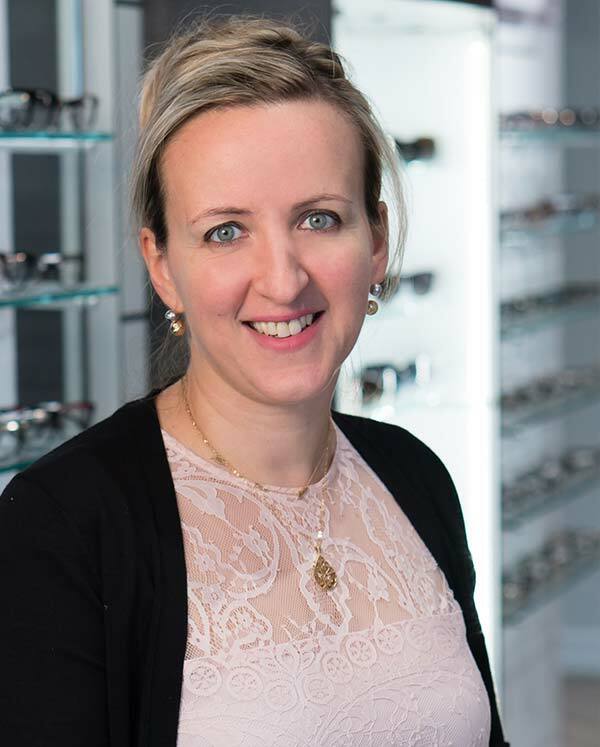 She received extensive optometric clinical experience at South Boston Community Health Center, NECO Center for Eye Care, VA Fresno, and Richlin Eye & Associates in Beverly Hills. Some of her special interests include dry eye, contact lenses, and ocular diseases such as diabetic retinopathy and glaucoma. Dr. Chuang is passionate about providing her patients with a customized experience of high quality eye care and education. When she is not caring for her patients, Dr. Chuang can be found at restaurants all over Boston, cooking, baking, taking photos with her DSLR, or at the rock gym.